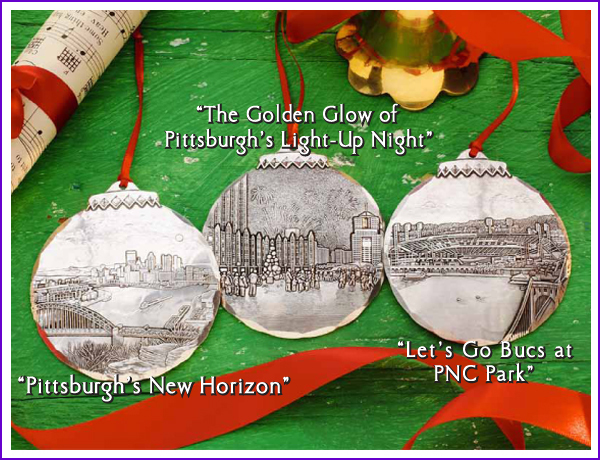 It’s a shining jewel along the Allegheny River – PNC Park! 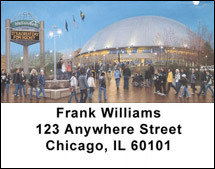 Home to the Pittsburgh Pirates, this majestic ball field is truly worthy of this historic team. 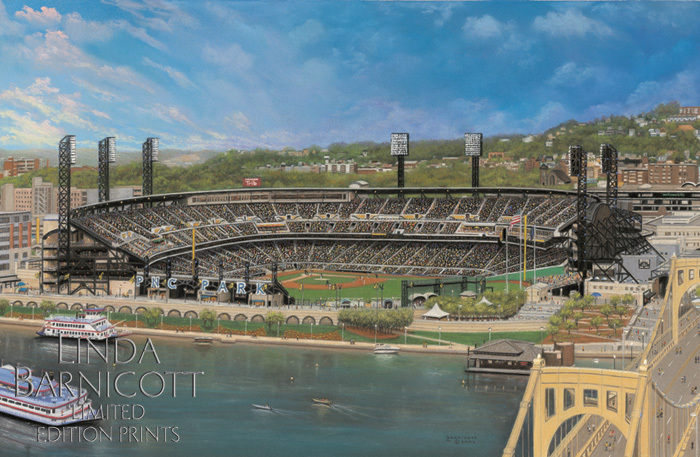 Featuring an up-close and personal view of the game and a spectacular view of Pittsburgh, PNC Park has quickly become the standard by which other stadiums are measured. 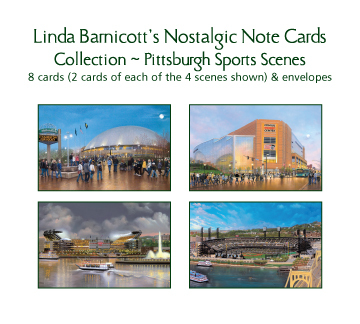 Linda Barnicott invites you to relive the memory of walking across the Roberto Clemente Bridge to catch a game in this splendid ball park. 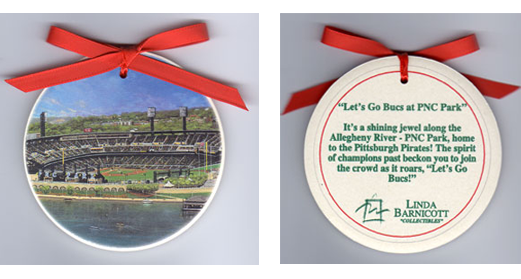 The spirit of champions past beckon you to join the crowd as it roars, “Let’s Go Bucs!” at PNC Park!